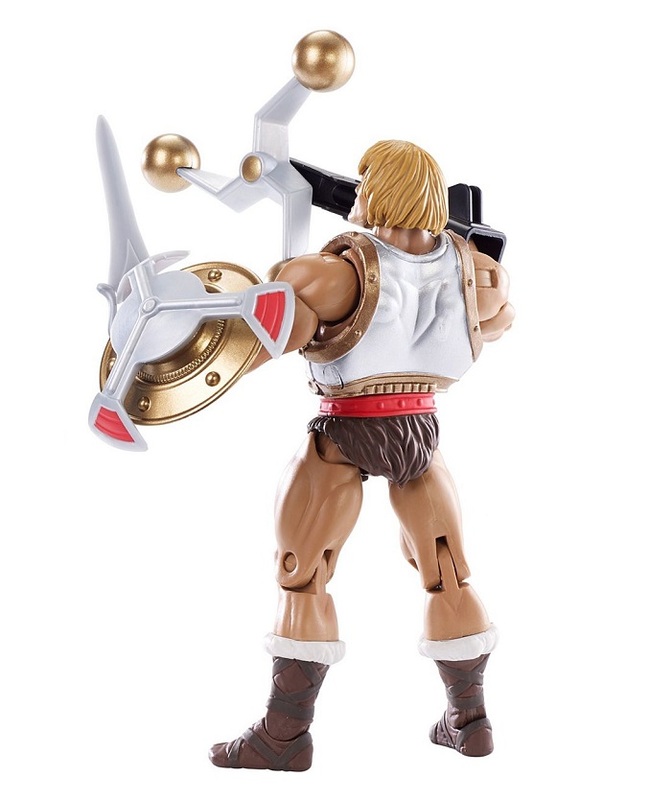 Heroic Leader with the Arm-Swinging Action! 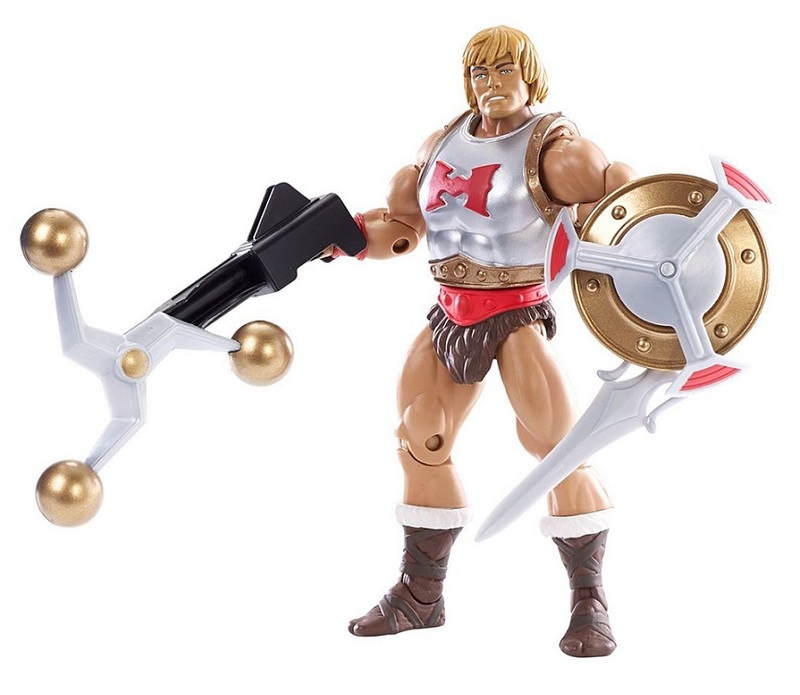 After his trip to Preternia, He-Man returned to his own time period armed with the hidden knowledge of the Snakemen’s one true weakness. 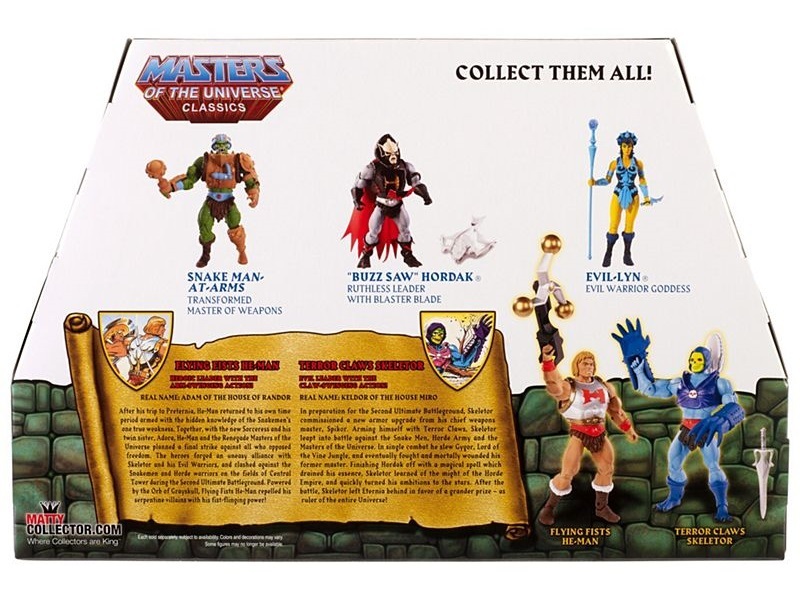 Together with the new Sorceress and his twin sister, Adora, He-Man and the Renegade Masters of the Universe planned a final strike against all who opposed freedom. 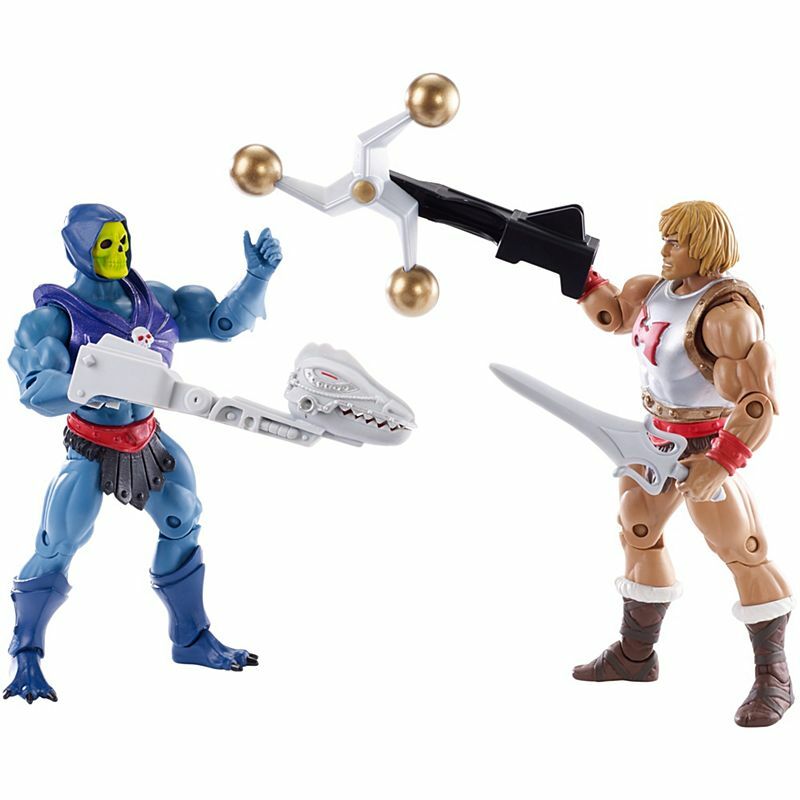 The heroes forged an uneasy alliance with Skeletor and his Evil Warriors, and clashed against the Snakemen and Horde warriors on the fields of Central Tower during the Second Ultimate Battleground. 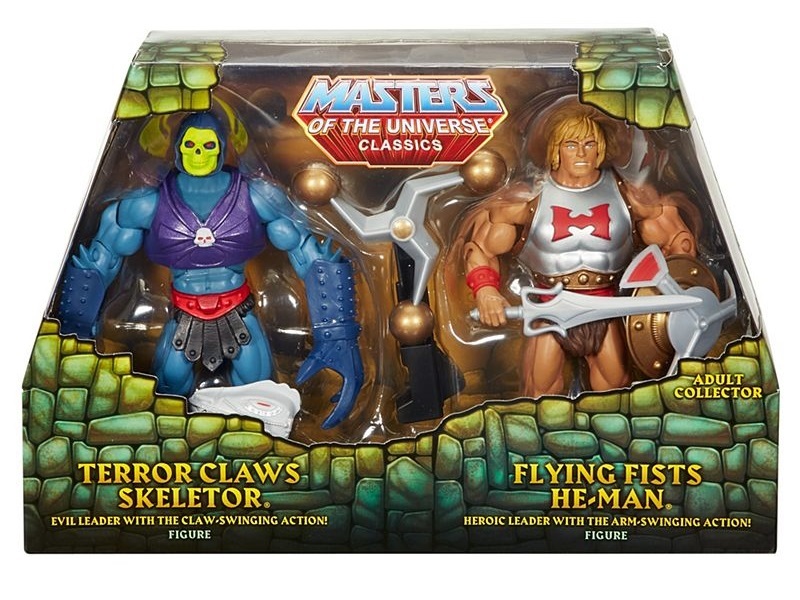 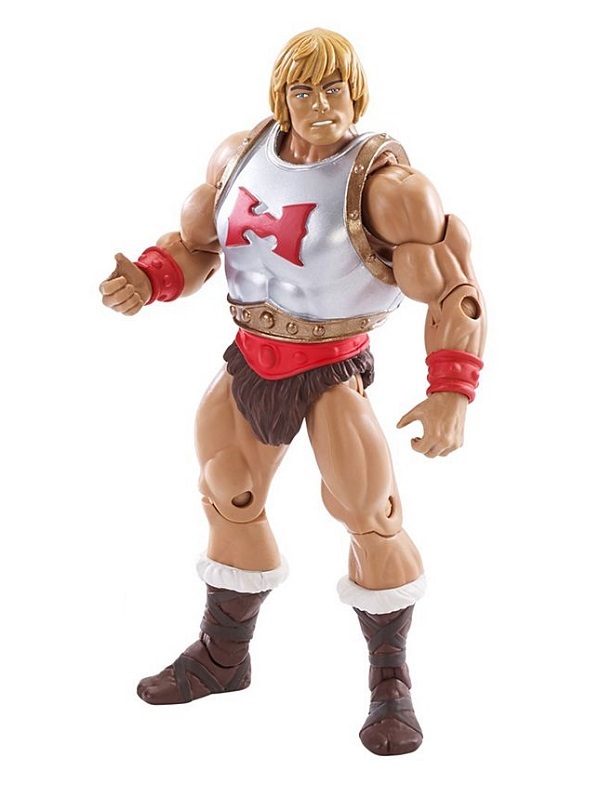 Powered by the Orb of Grayskull, Flying Fists He-Man repelled his serpentine villains with his fist-flinging power!